What’s in common between Perpendicular Line, Normal Line, Elimination Method and Bi-quadratic Equations? All are new features we’ve just added. This calls for a blog post! So what’s new? Step by step solutions for Normal line, Perpendicular line, Elimination Method, and Biquadratic Equations, pretty amazing! 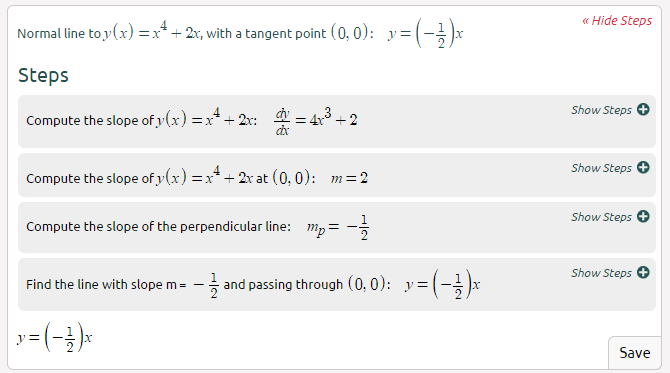 Perpendicular lines have a negative reciprocal slope, all it takes to find the equation of the line perpendicular to the line at a point is to calculate the slope. The normal line to a curve at a given point is the line perpendicular to the tangent line to the curve at the point. 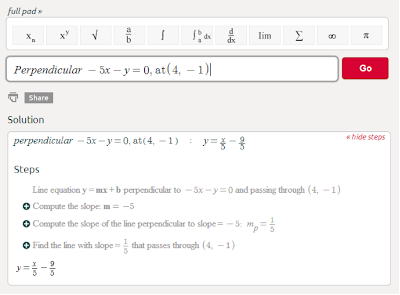 To find the normal line, find the tangent line first then find the equation of the perpendicular line (same technique as above). Symbolab knows how to do all this, type Normal (along with the function and point), and Go. The Elimination Method is the process of eliminating one of the variables in a system of equations using addition or subtraction. 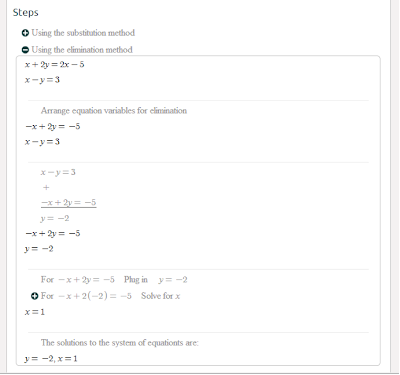 The Substitution Method is the process of solving an equation for one variable, and subsequently substituting that solution in the other equation. In most cases you can use one or the other. We’ve made it easier for you to select the method of your choice. 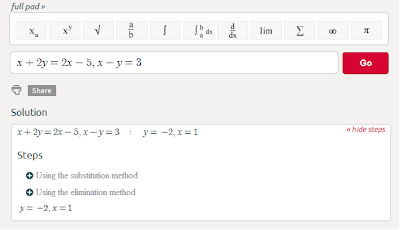 Type in the system of equations, press Go, you should notice the different methods listed. A bi-quadratic equation is a quadratic function of a square, having the form f(x)=ax^4+bx^2+c. 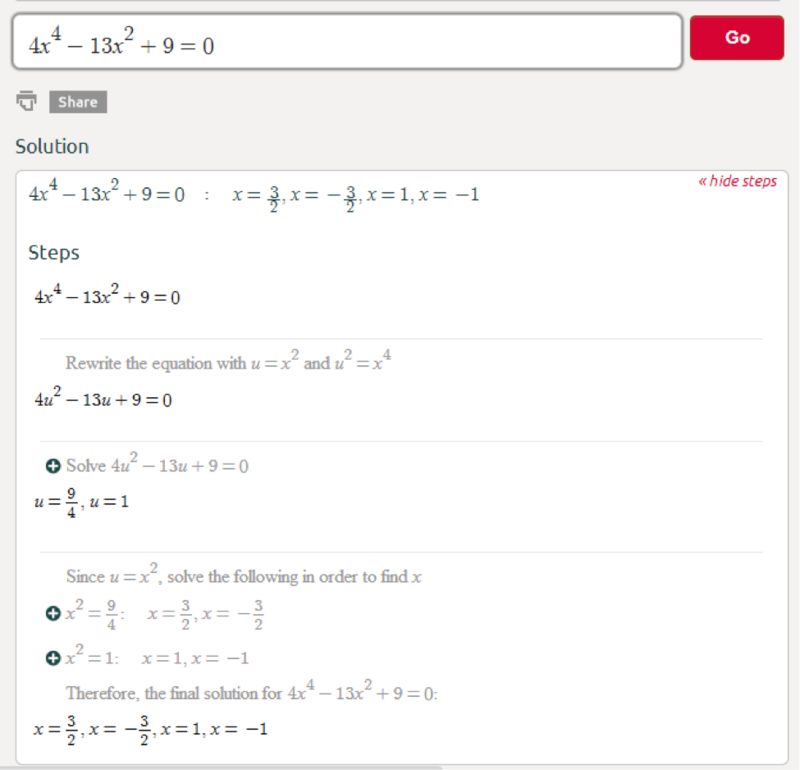 To solve you simply have to rewrite the equation as a quadratic equation. The free quickbooks support is now available here. Sometimes even the most developed search engines can't fully satisfy all your needs. Especially, when it comes to mla format research paper. Facebook is, without a shadow of a doubt, highly progressive but there are times when it's better to just ask for professional help. I think this is an informative post and it is very useful and knowledgeable. therefore, I would like to thank you for the efforts you have made in writing this article. I love reading blogs., honestly speaking l love this blog post very much. This is simple but very interesting and worth reading. Thank you so much for sharing this here. 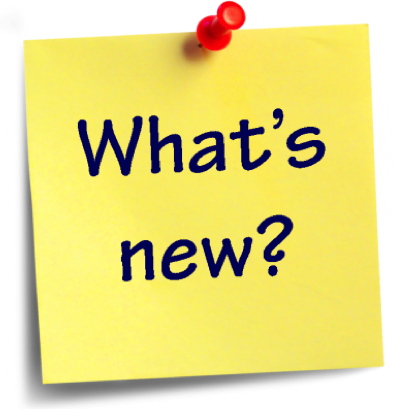 Make your blog more active with updating new contents. 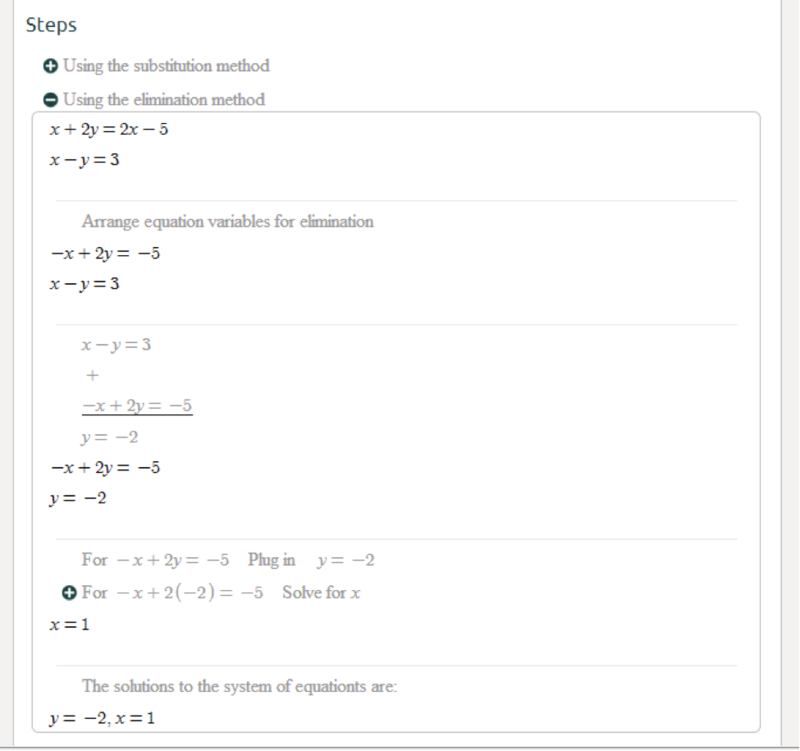 Elimination method is the easiest way to solve system equations as compared to substitution method. And most of the students prefer this method because it reduces the possibilities of mistakes as compared to other methods. Regards, Maham works at Pakistan tour and travel packages and also a lecturer in a private college in Pakistan.